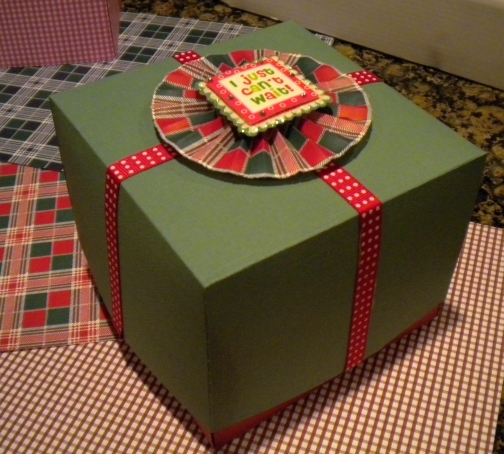 Using the Martha Stewart Score Board you can make some really cute gift boxes. It's super easy too! All the dimensions and where to score is included in her handy-dandy guide located inside the score tool storage area. I used 2 sheets of 12x12 paper to make this box for a co-worker Secret Santa gift. I then added a few embellishments to deck it out. It's a great alternative to something different than a standard gift bag or christmas wrap. It was pretty cloudy that evening around her. Couldn't see the eclipse, but it was bright! It was raining in Southern California =( couldn't get to see it. You view was beautiful TFS! Really like your box too! 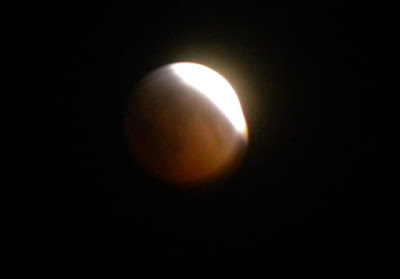 amazing shot of the eclipse.. clever thinking with the binoculars.. Fantabby box too!